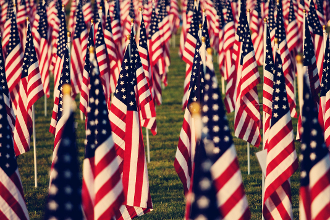 Let's fill the field with flags, honoring the heroes of your choice! For $60.00, you can sponsor a 3' x 5' flag and submit a pic and bio of the hero you wish to acknowlege. At the end of the event, the flag, stand, and memorial flyer are yours to take home. An amazing tribute, it will be!